Established in 2003 under personal care, guidance and blessings of H. H. Shri Mataji Nirmala Devi, Shri P.K.Salve Kala Pratishthan, at Vaitarna in Thane district of Maharashtra, has been encouraging students to tap their true potential in Indian Art and Culture. Students from diverse cultures across the globe, have experienced their untapped potential flourishing. 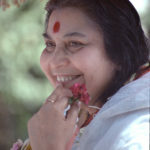 Through their holistic understanding of Sahaja Yoga, one of the precious gifts by our holy Mother to the mankind, they have gained/achieved distinctive insight while learning music and art at the Academy. The Shri P. K. Salve Kala Pratishthan is a unique place in India where music and enlightenment combine to produce harmonies that uplift the spirit. Music is very important for Sahaja yoga as you know that, through music the vibrations spread very well and one can go very deep into your own meditation through music. Updated on 2018-09-14T17:57:32+00:00, by admin.